Create healthy, tasty snacks that are popped, not fried. Reading Bakery Systems and Incomec now offer a system to create popped snacks. Reading Bakery Systems and Incomec have created a partnership to supply popped snack systems in the US and Canada. Incomec will supply Pellex C+ and Cerex Processors, and RBS will supply the auxiliary equipment required, including conveyors, feeders, and seasoners. RBS will also provide sales support, installation and technical support for the systems. These healthy snacks are baked, not fried, so they lack oil but burst with flavor. 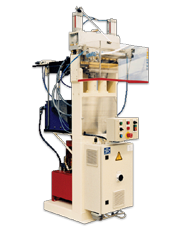 The system includes a Pellex C+ or Cerex Processor depending on your product and the number of processors. The line is scalable, so you can always add processors to your line as your business grows. The Pellex C+ Processor is capable of converting micropellets and dry ingredients with high free starch levels such as broken rice, corn grits and potato-based materials into a crunchy and wavy chip. The Cerex grain processor is designed to convert untreated grain, pellets and cereal blends with high free starch levels into unique popped products. Traditional rice cakes, as well as biscuit and cracker-like products of varying sizes, can be produced with quick and simple changes of the forming dies. 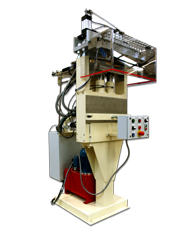 Ingredients are fed through a hopper, volumetrically metered and introduced by a feed-slide into the heated mould. The Processor then pressurizes the ingredients for a short period of time. This pressurization allows the ingredient moisture to be converted into steam, resulting in expansion, or popping. The mould is opened slightly, which allows the ingredients to expand and form the product. The finished products are ejected onto a conveyor, which leads them to a Cleaning Drum to remove unpopped ingredients and fines and then onto flavoring and packaging.